AmeriCorps Volunteers in Service to America (VISTA) is the national service program designed specifically to lift people out of poverty. Founded in 1965, VISTA has been on the front lines fighting poverty in America for 50 years. 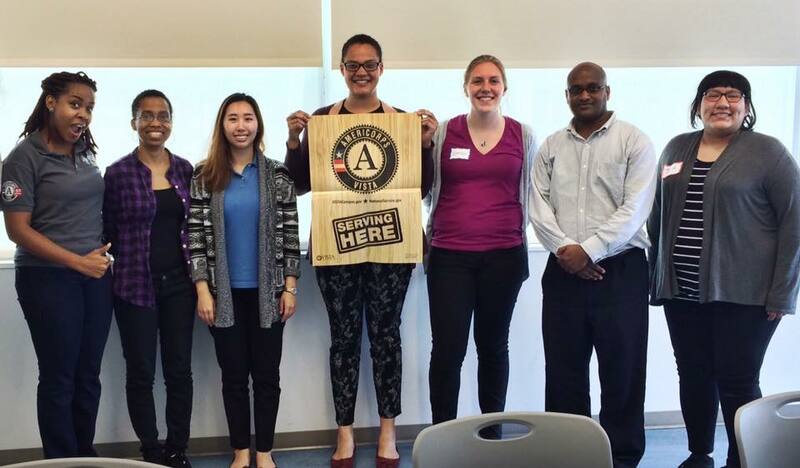 The Literacy Coalition has proudly sponsored an AmeriCorps VISTA as an intermediary organization in partnership with the Corporation for National and Community Service since 2012. Coordinating VISTA service at partner agencies is one of the fundamental ways in which the Literacy Coalition achieves its mission. By leveraging federal resources, our existing partnerships with nonprofit agencies in Central Texas, and creating new partnerships across the state, the Literacy Coalition is changing the landscape of service provision and nonprofit sustainability. We currently have 20 VISTAs serving throughout Texas in partner agencies. VISTA members are full-time volunteers at nonprofit agencies. They help to improve health services, create and evaluate programs, strengthen community groups, conduct outreach, and much, much more. With passion, commitment, and hard work, VISTA members and their service sites create, implement, expand, and improve programs designed to bring individuals and communities out of poverty. Learn more about the Americorps VISTA service program here. View our current service opportunities below. In order to apply you'll need to create a profile and submit an application at MyAmeriCorps.gov. If you already have a MyAmeriCorps account, you can submit an application to any of the positions below after you log in. INTERESTED IN BECOMING A HOSTING SITE?